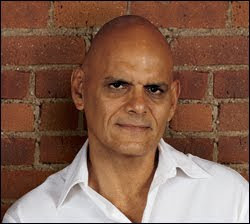 Ernesto Perez-Carrillo's history and accomplishments in the world of cigars are known to many. But if you are not familiar with his creations, i suggest you dig up some information about the man himself, the la Gloria Cubana brand and Swedish Match Co.
Now, after a long and productive period with Swedish Match, Ernesto is on his own again - Well, sort of. Together with his son Ernie and daughter Lissette, he has established the EPC Cigar Co. A family business aimed to create something spectacular and to please even the most discriminating cigar aficionado. Fortunately, i was able to get an interview with the busy man himself. According to Ernesto, it is a huge joy to see the next generation so enthusiastic about the company and cigar industry. He obviously respects them for taking the leap of faith and jump aboard. He is even relieved to say, that the daily business runs smoothly within the family and personal aspects can easily be left outside the business, whenever necessary. The new company will base its philosophy on old family traditions brought to the present time through innovations and creativity. This means that the production process and all included will be honouring the centuries old art of cigar making, as well as respecting the long Carrillo family history, but with blends and tastes which reflect the lifestyle of the present times and generations. "There is no point in recreating the La Gloria Cubana blend or similar traditional brand, as that has been seen already, and new things await. ", he stated. And i believe the cigar enthusiasts will agree. Together, as a family, they are working to build a new concept, not only through the cigars themselves, but also through active online marketing, social networks, packaging, sales etc. According Ernesto, they will not, however, aim to be a large scale cigar manufacturer, but try to remain boutique. Their first release will be a limited edition of one size only called The E.P. 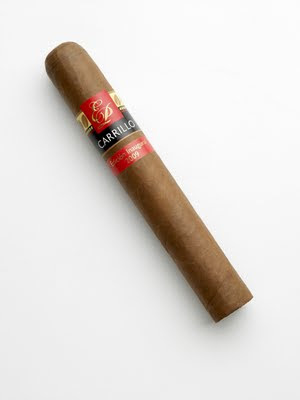 Carrillo Edición Inaugural 2009, sized 5 3/8" x 52 - Robusto. Only 2500 boxes of ten cigars will be made every month from December 2009 to April 2010. It will be available in December 2009 in the USA, and many retailers are already taking pre-orders on the cigars. The E.P. 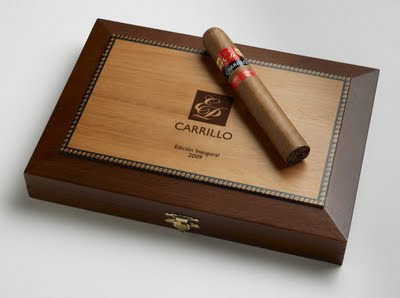 Carrillo Edición Inaugural 2009 will be an interesting mix of different kind of tobacco: minimum of 2 years aged Nicaraguan and Dominican filler tobaccos and an unique, very limited, 3-year-aged Ecuadorian wrapper found through some friends in the business. The cigar also has two binder leaves, a Nicaraguan and a Dominican, both aged for 5 years. To my experience on a prototype sample, it is to be a cigar with a medium body and medium strength. Most importantly, the cigar is packed with an ever changing flavour profile and an absolutely perfect balance. changing from creamy to sweet, reaching for wood and leather, even with some fruity whispers on the background. "It will suit the tastes of most cigar smokers," said Ernesto. "It is a medium bodied, smooth and creamy smoke, which has rich, vibrant flavors and an intoxicating aroma." The core line of the EPC Cigar Co. will be coming out in April 2010 with a wider range of vitolas. 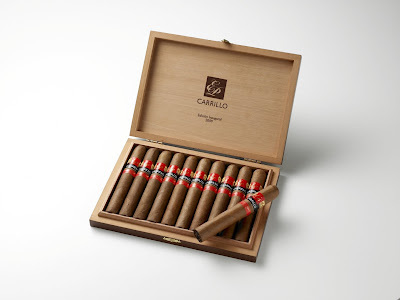 And, obviously, with distinct signature flavours from Mr. Carrillo. With all the passion which Ernesto and his family have for cigars, and with all the know-how and history behind them, i am certain, that we will see a lot of future classics coming out from their cigar factory. 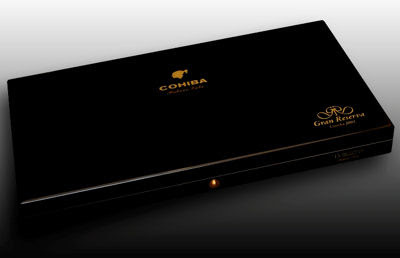 The Cohiba Gran Reserva Siglo VI is now available at LCDH Hamburg. When this cigar was first launched during the 2009 Habanos Festival it caught highest attention - which is something that I did not see for many years. Some funny story about this very special cigar happened at a private dinner in Havana the night before the Festivals Farewell Gala. After the main course I took out the Gran Reserva I was given as sample to check it out. James Suckling, Cigar Aficionado’s man in Havana, looked at the cigar and could not resist to ask what is was. I could not even finish my answer when he grabbed MY cigar, smoked half way through it and was blown off his socks. That cigar is the one he rated 100 points Now, back to the cigar. 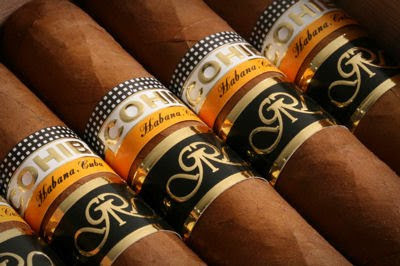 The Cohiba Gran Reserva Siglo VI is a unique cigar as no current Havana has this unique taste. The El Laguito (Cohiba) cigar factory made cigars are blended with a very special and nowadays hard to find Ligero. This rare and special Ligero leaf is hand picked one by one from the finest bunches of aged tobacco - the best of the best! That special Ligero leaf is THE secret behind the unique taste of the Cohiba Gran Reserva. The ones of you smoking Havanas since the late 1980’s might remember the heavy taste of wet soil blended into sweet tobacco flavour - that comes close to what I think makes this cigar to a great one. If there is any Havana cigar you should try it is this one. You will never forget the fantastic flavour this Havana cigar produces….